Be wary of an 'official' looking invoice in the mail, it looks convincing but it can be filed in the bin! 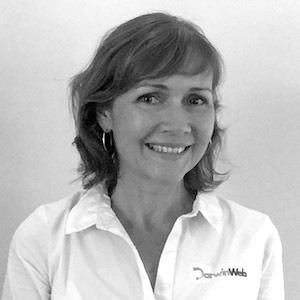 Over the years, my clients have been receiving hard copy invoices in the mail from "Domain Registry Pty Ltd", "Domain Name Group Pty Ltd" or similar 'official' sounding companies. 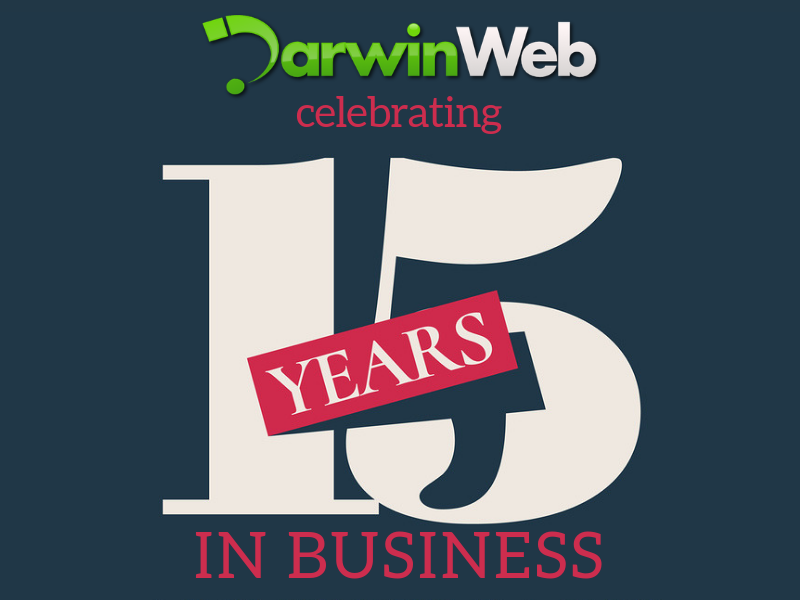 The invoice requests payment of domain registration for a .com or .net version of your .com.au domain. The examples I have seen operate in Melbourne, Victoria - but I believe there are other letters being sent out by other scammers from all parts of the world asking for renewals of not only .com but .net or others. 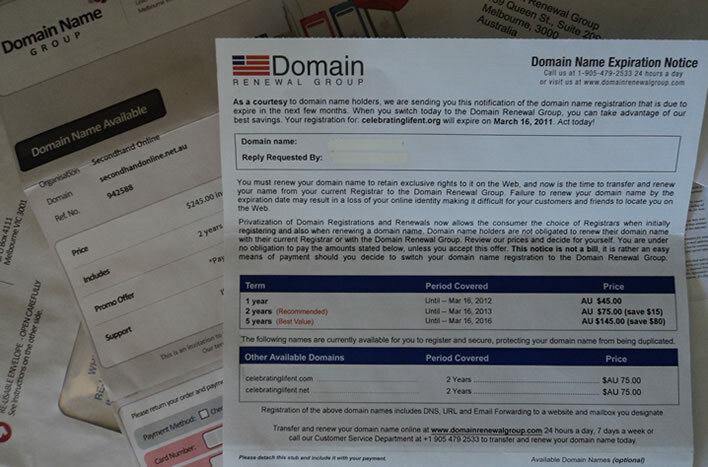 The official looking document appears as a renewal invoice for the original domain name, and is misleading customers into paying very high fees for domain registration ($249 AUD for 2 years, which is crazy! ), one invoice even promised that you would receive an iPod if paid by specific date. 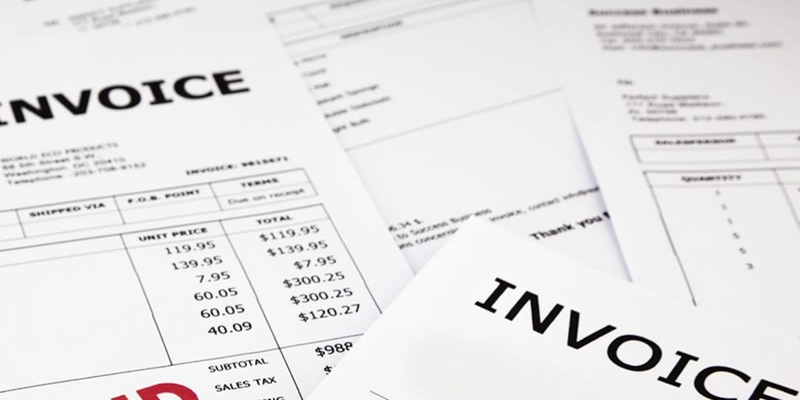 The microscopic fine print on some of these invoices state that you are not obliged to pay, but you need to read very carefully to notice it. Scammers like these harvest postal addresses belonging to owners of the .com.au domain equivalents by checking the "contact us" area of their websites, making the invoice appear legitimate. It certainly looks convincing so please be careful. I have included a photo below of a few invoices I have received in the mail myself. If you receive one, it may look different as there are many variations in circulation. ‍WARNING: DO NOT PAY THIS INVOICE without checking with your domain name supplier or web designer first.